The transformation needed to meet modern customer experience expectations requires organisations to break down operational silos separating marketing, sales and services and shake up their corporate culture, NAB’s former marketing chief claims. Sandra de Castro, who was CMO of NAB until earlier this month, spoke at today’s Adobe Digital Marketing Symposium on the changes brought about in financial services in the age of customer-first, digital and now mobile-driven interactions. Throughout her presentation, she emphasised the need to break the down distinctions between functions and create an agile, collaborative culture in order to meet modern customer expectations. For de Castro, customer experience is increasingly becoming the product, service and the brand. 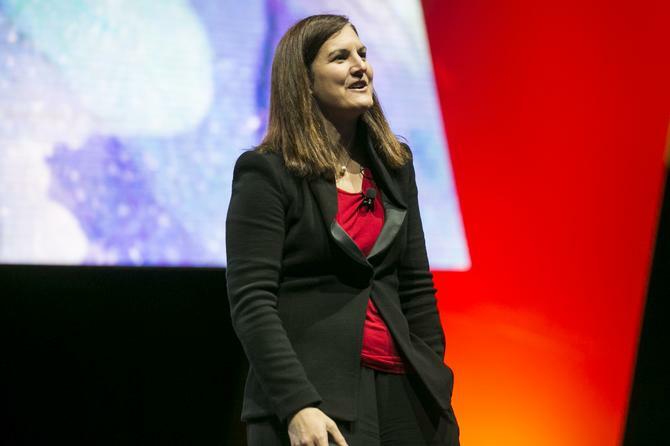 “What goes for marketing is increasingly going for everything,” she said. The problem most organisations have, however, is that they’re still operating in the world of functional silos, de Castro said. To make mobile the orchestrator of all of these experiences, you have to remove such siloed thinking, she said. Capability is important in achieving this, and marketing has been on a path to improving its capabilities through technologies such as marketing cloud platforms, skillsets and resources, de Castro said. But these will only work if companies have the right culture to make transformation changes, she said. And this requires creativity, collaboration, and trying more things. De Castro pointed out that marketing in more recent times has been about combining digital insights with the customer data the organisation has always had, driving better customer engagement. As a result, the traditional boundaries between marketing and sales are vanishing fast, de Castro said. “That changes everything in financial services because it’s always been distribution-led.” This transformation is also occurring around customer service, de Castro said. The only thing that now matters for organisations is that customers love whatever it is they’re building, de Castro said. This has helped elevate marketing’s role in the organisation, and she cited marketing teams increasingly gaining responsibility for programs such as Net Promoter Score as an example of the trend. “It’s also driving a huge amount of experimentation within organisations to inject marketing and digital into the fundamental transformation effort of the organisation,” she said. All of this comes back to the collaboration required within organisations across multi-disciplinary teams to be successful, de Castro said. That required a cultural shift, she said. It also requires agility. “Adopting to change is not about getting it right, it’s about just getting it,” de Castro added. “The teams doing the most work the fastest and who try the most things, are the people who will win.